The Liverpool centre-back praised his defensive partner after another pivotal moment. 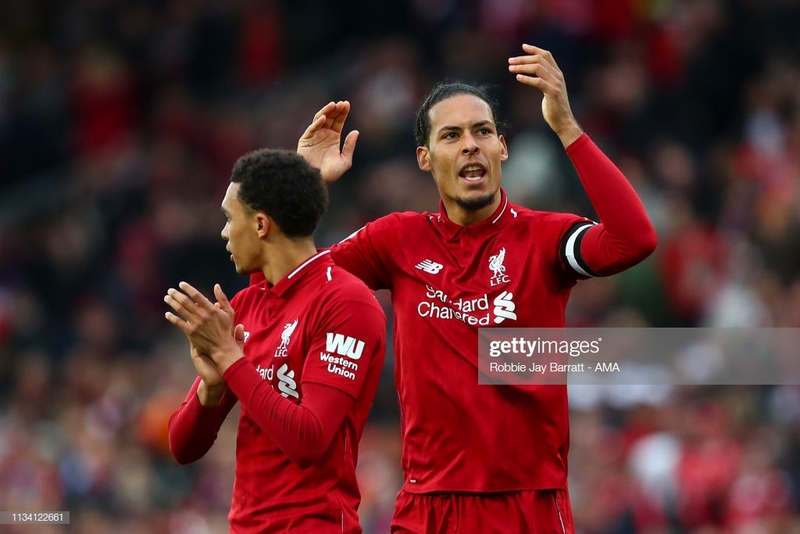 Virgil van Dijk has been labelled as a great defender by teammate Joel Matip, with the Dutchman instrumental to Liverpool's ongoing title challenge. The No.4 delivered a pivotal moment in Sunday's 2-1 win over Tottenham Hotspur, taking his time and failing to be drawn into a challenge with Moussa Sissoko. As a result, he prevented a sideways ball to Heung-min Son while simultaneously applying enough pressure on Sissoko to force the midfielder into a rushed effort on his weaker-foot. A sublime piece of defending, it not only prevented Liverpool from going a goal down and being handed a blow to their title hopes but gave the platform for the winner. Albeit fortuitous, a period of pressure from the home side culminated in Mohamed Salah's header back across the face of goal, with an eventual deflection off of Toby Alderweireld handing Jurgen Klopp's side the three points. Joel Matip: "Being around him, I think everybody improves"
While Joel Matip and Van Dijk didn't record another clean sheet, the former pinpointed the significance of his teammate and his effect on the overall team since joining the club. "He's a great defender," Matip told Premier League Productions. "And being around him, I think everybody improves. He has had a big impact on the improvement." "It's great to play [with] him. He's a complete defender and he knows what to do. Every defender does things a little bit differently. You always need some time to really know each other." Liverpool face Southampton on Friday with the duo hoping to secure another clean sheet in a season that's delivered huge improvements to the club's defensive picture.